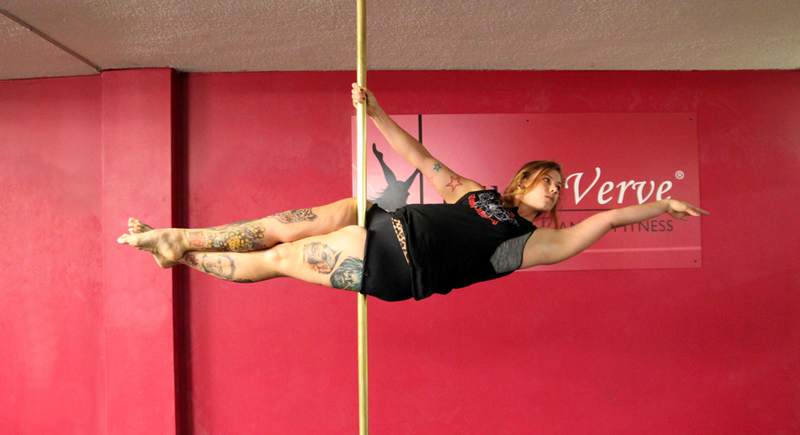 What made you start pole classes? I was looking for a different sport to get into after winding back on water polo. I thought it would be good fun to try it out with some mates, I was instantly addicted. 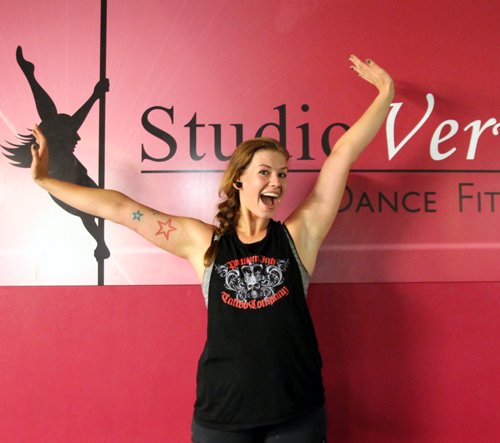 How does PoleFit make you feel about yourself? How long do you see yourself pole dancing for? Hopefully for a very long time. I had a break for two years and the moment I got back into it I regretted ever stopping. I WON'T be making that mistake again! What keeps bringing you back to Studio Verve? What is your 2016 pole goal? Improve strength and core stability, to be able to shoulder mount V and handspring.